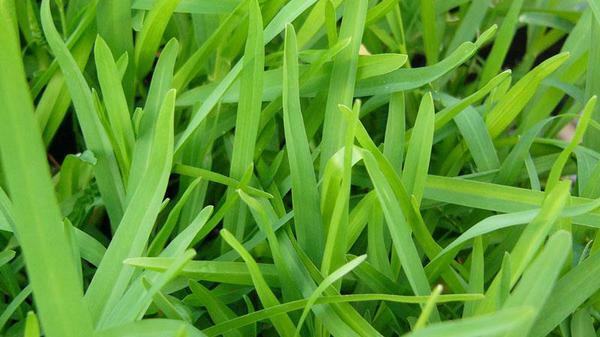 St. Augustinegrass is a warm-season grass with medium density and medium to dark green color. 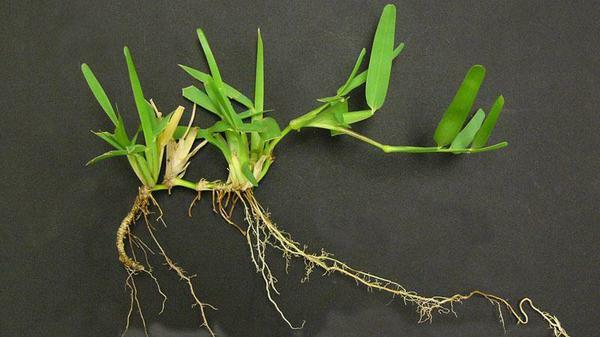 Of all the warm season grasses, it is the least cold tolerant and has the coarsest leaf texture. 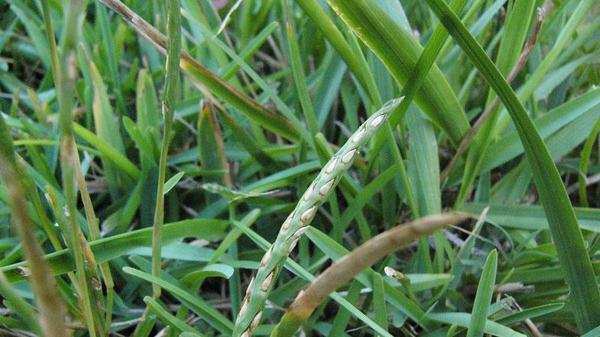 St. Augustinegrass grows best in warm, humid areas that are not exposed to long periods of cold weather. In fact, its lack of cold tolerance is the major limiting factor in determining its use in North Carolina. 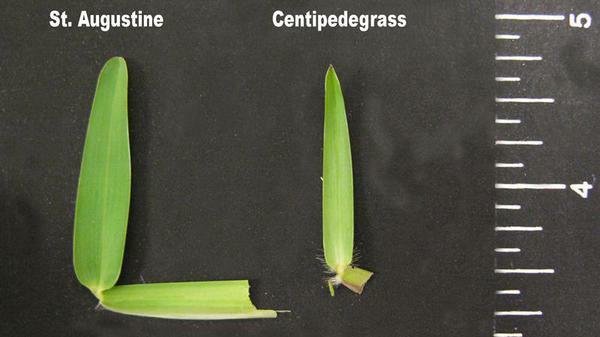 Centipedegrass can often be confused with St. Augustinegrass. However, centipedegrass has alternating leaves at the nodes whereas St. Augustinegrass has opposite leaves at the nodes. 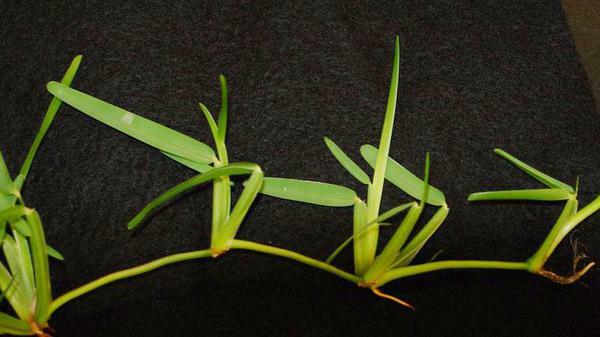 Centipedegrass also has a more pointed, slenderer leaf blade than St. Augustinegrass. 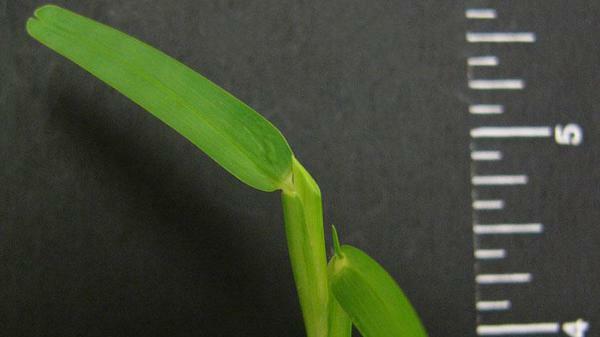 Both leaf blades are V-shaped in cross section, but that of St. Augustinegrass has a more obviously boat-shaped tip. For a month-by-month St. Augustinegrass lawn maintenance calendar, see St. Augustinegrass Lawn Maintenance Calendar, AG-540. Figure 1. St. Augustinegrass. Figure 2. St. Augustinegrass seedhead. Figure 3. St. Augustinegrass seedhead. Figure 4. St. Augustinegrass. Figure 5. St. Augustinegrass vernation. Figure 6. 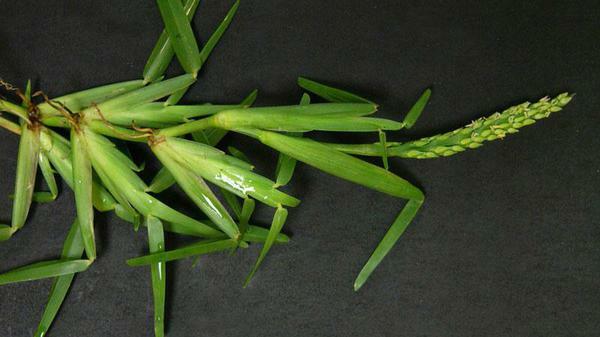 St. Augustinegrass ligule. Figure 7. 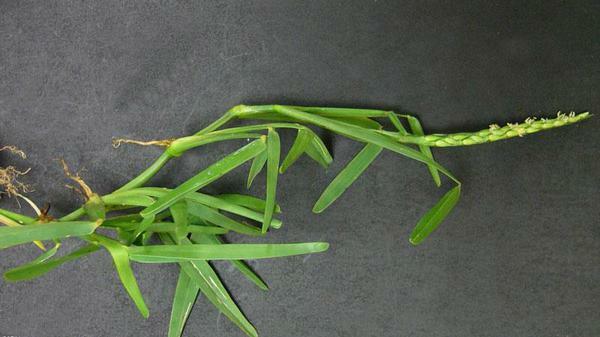 St. Augustinegrass ligule. Figure 8. 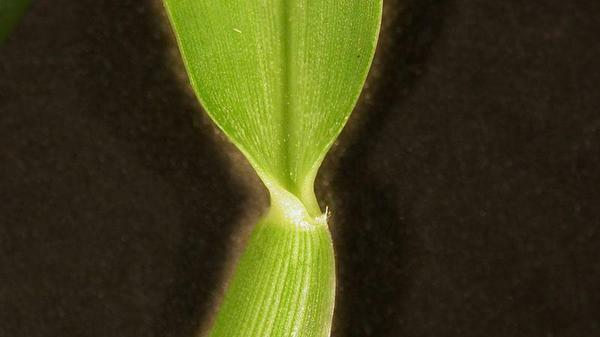 St. Augustinegrass leaf blade tip shape. Figure 9. St. Augustinegrass. Figure 10. St. Augustinegrass. Figure 11. 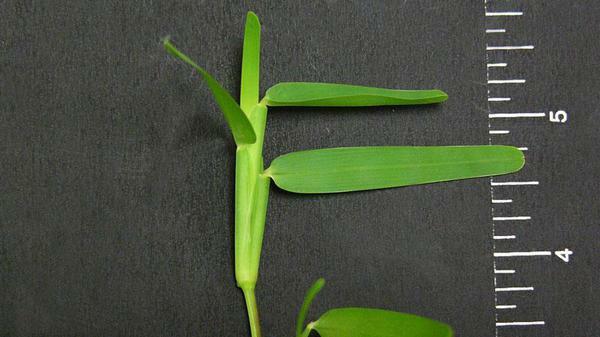 St. Augustinegrass leaf blade shape. Figure 12. 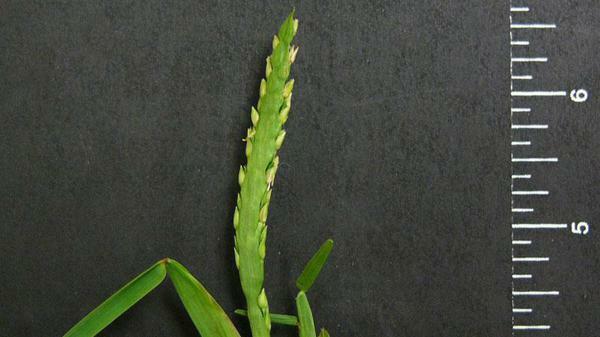 St. Augustinegrass stolon. Figure 13. 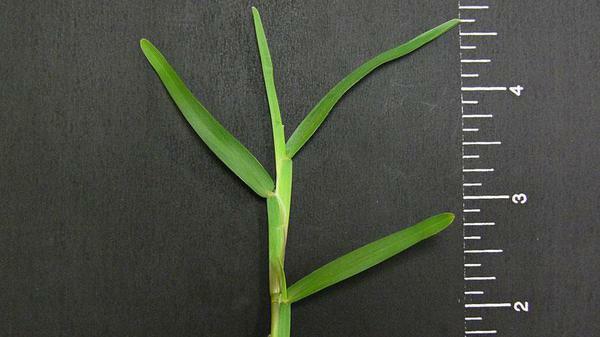 St. Augustinegrass collar type.